Manchester City clinched qualification for the Champions League's last 16 with a superb 4-2 success away to Napoli last month and can maintain their 100 per cent record in Group F by hammering Feyenoord. Pep Guardiola needed a year to settle into his role at the Etihad but is fast taking City to heights not seen before in the Premier League era. The slick citizens have netted 40 goals in 12 league games at an average of 3.33 per game. 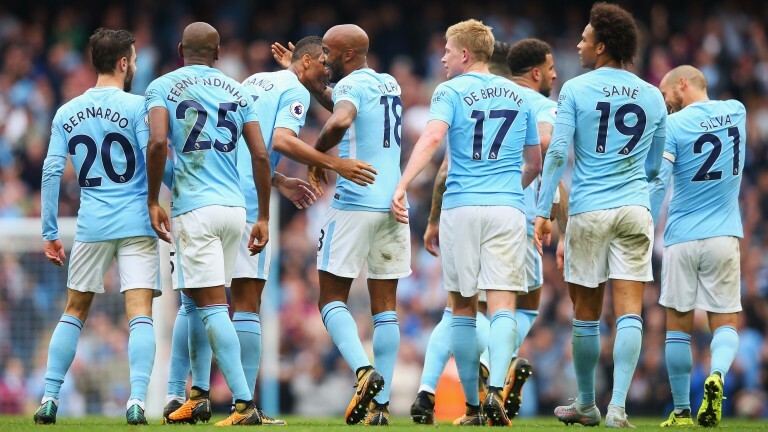 Their goal average drops to three per game in Champions League matches but it is becoming apparent that City are in a class of their own in England and they are rightly considered to be among the favourites to be crowned kings of Europe. City started off their Champions League campaign with a ruthless 4-0 success over Feyenoord in Rotterdam and, barring a slipping of standards, another demolition of Dutch champions is on the cards. The worry for Feyenoord is that City are not the type of side to ease up on weakened opponents. They have scored five goals or more in five of their last 13 Premier League games and Guardiola has no need to make wholesale changes, given that there is ample to recover for Sunday's league match at Huddersfield. Another problem for Feyenoord is that they are without their suspended captain Karim El Ahmadi, who they usually rely on to anchor the midfield. Even with El Ahmadi in the side they have struggled - losing all four Champions League games and conceding 12 goals in the process. And Feyenoord's Champions League struggles have impacted on the league results with the Rotterdam giants seventh in the Eredivisie, six places and ten points worse off than they were at the same stage of last season. They haven't managed a victory in their last five league fixtures and had another major setback at the weekend - conceding a late goal in a 1-1 draw at home to lowly VVV-Venlo. Giovanni Van Bronckhorst will set his team up to be as solid as possible but City have shown time and again that they have no problem breaking down massed defences and the home side are worth backing to cover a 2.5-goal deficit on the Asian handicap. John Stones has joined Benjamin Mendy in the treatment room. Karim El Ahmadi is banned after picking up three yellow cards. Jan-Arie van der Heijden and Eric Botteghin are injured. Feyenoord have not kept a clean sheet in their last seven matches.